Our emergency service vehicles are equipped and on-station, ready to serve your emergency needs, providing independent power, lighting and emergency repair services 24 hours a day. 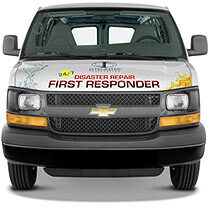 If you need emergency restoration services, please call 216-361-3473 for immediate help. We offer 24/7 disaster repair services to Northeast Ohio including the Cleveland Metro area and surrounding suburbs.